Capture Feedback from Your Customers? Build A Database of Customer Emails? 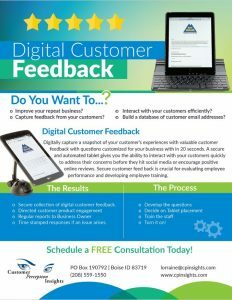 Digitally capture a snapshot of your customer’s experiences with valuable customer feedback with questions customized for your business within 20 seconds. 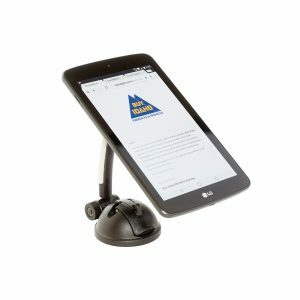 A secure and automated tablet gives you the ability to interact with your customers quickly to address their concerns before they hit social media or encourage positive online reviews. Secure customer feedback is crucial for evaluating employee performance and developing employee training.